Artworks had a chat with one of the two master-minds behind Stockholm's most visited gallery. How does the story of Jeanette Steinland begin? The art-part of my life began when studying art and design at Central Saint Martins in London. At the same time, I started to organise art shows around London. I turned my apartment into a gallery, rented obscure places and also convinced a few museums to lend their spaces. It’s was a great time! Sounds extravagant, how could you afford that as a student? I didn’t think too much. Sounds as a cliché, but I was young, naive and I followed my instinct. It was first when I was doing a show in Copenhagen that I realised it would be hard to pay the rent. I borrowed 5,000 SEK from a friend who I knew got a thrill out of investing in crazy ideas. This friend.. was that your future business partner? Exactly, that was Jacob Berliner who later became my business companion. He had a motorbike and we drove around London get stuff together for the show; we bought cheap beer, got freebies and had the opening party with a band from Berlin. It was a great show and we made enough money so we could pay the rent. But making money has never been our focus. We just wanted to curate art that we thought was missing. And then you ended up in Stockholm how come? I moved to Stockholm and was asked to work for “Allmänna Galleriet”. It was a restaurant and event area with a big space downstairs where we could do shows. We did everything from dance performances to fashion shows. This is where I did the Banksy exhibition. Did you do a show with Banksy? Yep I did that show together with my friend Joe Black. When I lived in London I got know people in the creative world. We used to hang out at a bar called Dragon Bar, and Banksy had his studio on the floor above. I knew the people who did Banksy’s prints and we first decided to do a show with only prints. But then he gave us some “real” paintings. We felt these were totally expensive, they costed something like 200,000 SEK, and we only manage to sell a small painting for 10,000SEK. Do you know if the buyer still owns the work? He contacted us a few years ago when he would buy an apartment. He had heard that the paintings had increased in price and asked us if we could buy it back. We couldn’t afford it. He sold it at auction instead and got like a million Swedish crowns for it. So did the Banksy experience had anything to do with the birth of Gallery Steinsland Berliner? Jacob had been nagging at me for 2 years that we would start our own gallery. Then one day he rang to say he had found the perfect white cube - and for quite some time, I had actually wanted to do exhibitions in a traditional white space. So, we decided to give it a go. How is it to run the gallery together? Jakob is a true entrepreneur. He has 5 hotels, several restaurants, a fashion label, a ski brand, and a lot of other fun stuff. The fashion label, Soulland, and the gallery is where he has his main focus. We work very well together. Jacob lives in Copenhagen so naturally I'm more present in the gallery day-to-day while he is out traveling and scouting and nurturing customers, collectors and artists. He often makes these important meetings with collectors in Paris and New York. Do you have a different target audience then the rest of the galleries in Stockholm? becoming a normal gallery. We wanted to become a meeting place centered around the art - whether there was a connection to fashion, music, literature or dance. In the beginning, we made a lot of events with companies like Byredo, Acne, Ann-Sofi Back and Filippa K. It takes time to grow into your role and find your fit. There's different ways to do it. This was the ride that worked for us. You cannot look at others. What does your collectors look like? Startups-people in hoodies rather than the typical Östermalm client? Today we sell to everyone. Institutions, businesses and individuals. For instance, we have a young and passionate collector, 20-years old, who works as sales checkout assistant at ICA (grocery store). It will be very exciting to follow him in his journey. What do you think is missing in the art world right now? We see a lot of uprising and protests around the the world right now, I would welcome that in the art world as well. 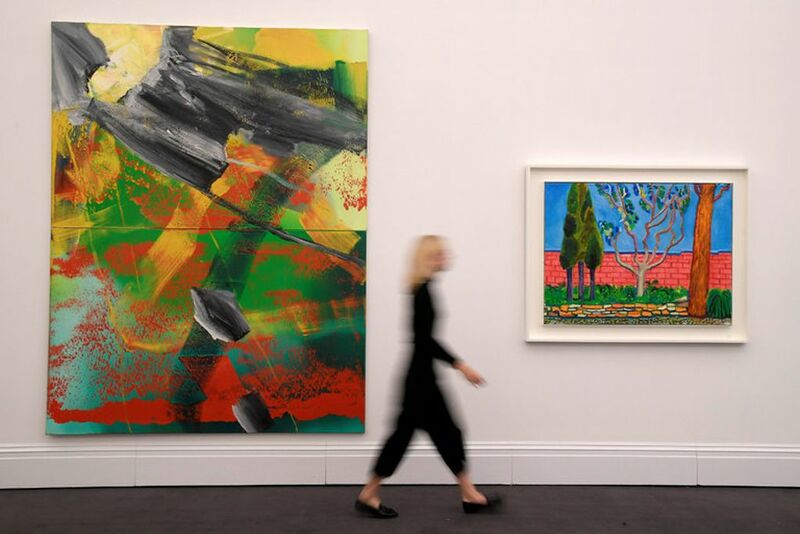 Art is not just about auction prices, and how much an artwork has improved or fallen in value. We must use the means that we have to talk about what's important. Art is a language that everyone can talk. The arts deserves more attention. The artists have something to say. I wish that the industry could focus on that. How do you follow digital developments in the art industry? I believe very much in the digital world. To our industry, it’s a new audience and the dawn of a new day. It’s so easy to share information today. But I believe there will always be the need for a tactile sensation and a physical contact with the object. Thus, the importance of the bricks-and-mortar space. That will never change, according to me. I'm not afraid of the future. I don’t want to go back in time. Let’s move forward. Time flies… We actually came to talk about your final exhibition this year. Not that it needs an introduction but out of interest how come that you will exhibit artists from other galleries? Well, the industry should collaborate a lot more. I believe that people within the art scene in Sweden must work together to stay ahead of the curve. After all, it will be a lot more fun. Our Winter show presents artists represented by Gallery Andersson Sandström, Elastic Gallery and Belenius among others. A bottle of dry white wine from Austria. A new podcast about British politics. A new pair of ridiculously expensive sneakers to match those slightly faded black jeans. We all make choices based on certain tastes. We are all acting like DJs, as Joakim Sjunnesson discuss. 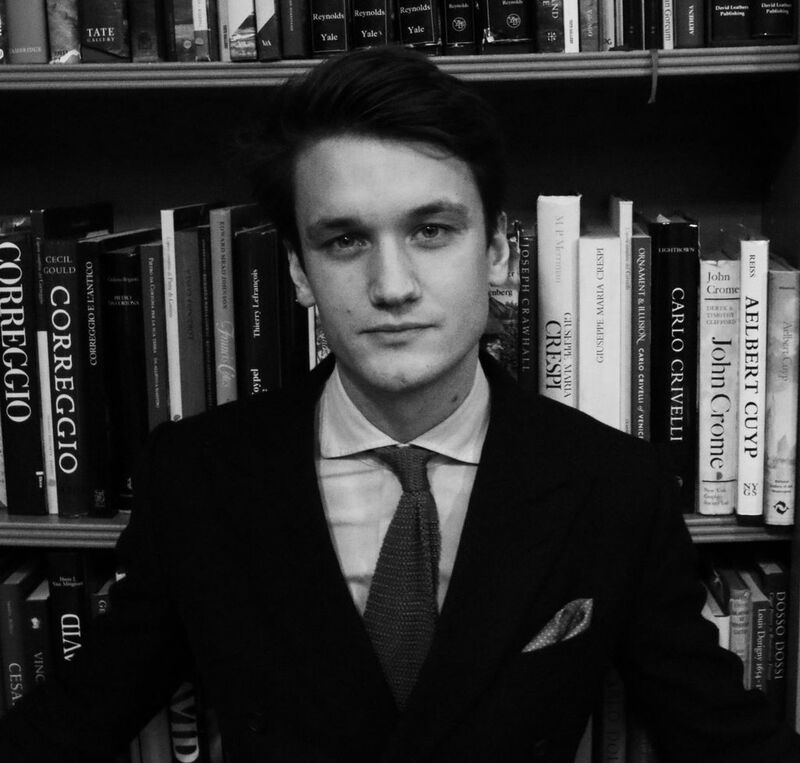 After duty at Lars Bohman Gallery, Carl Kostyal and Christie's, Jakob Göransson has relocated to London to work for art advisory and dealer Simon C. Dickinson, Ltd. Despite his young age and the coolness of contemporary art, Jacob has come to specialise in “old masters”.